For Western journalists visiting Zimbabwe in the middle of the last decade, a background chat with U.S. Ambassador Christopher Dell was an opportunity not to be missed. A veteran Foreign Service Officer with a refreshingly informal, outspoken style, Dell could be counted on to deliver candid assessments of Robert Mugabe’s latest skullduggery, and of the hapless efforts by Zimbabwe’s opposition to get rid of him. When I met him at his sprawling residence in the verdant northern suburbs of Harare in May 2006, while reporting a New Yorker story about Mugabe, Dell laughed as he told me of his arrest by the dictator’s thugs for trespassing near the presidential palace in downtown Harare. He was clearly enjoying rattling the regime. “I cannot even spell the word Dell with a ‘D’ but an ‘H’ and that is where Dell should go," Mugabe declared that year, to Dell’s delight. Dell was one of those rare U.S. diplomats who was nearly as frank with reporters and in his public pronouncements as he was with his State Department colleagues. 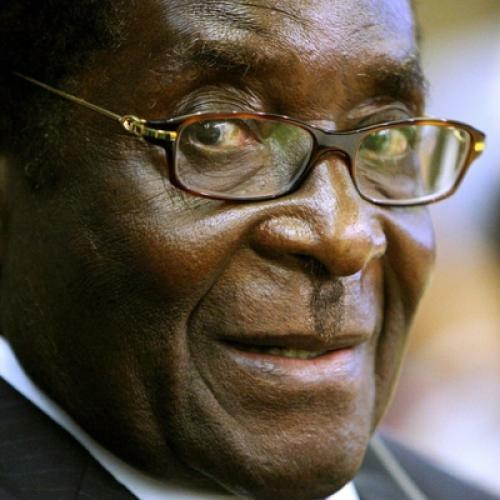 So many of the observations in his dispatches to Washington, released by WikiLeaks last week, have a certain degree of familiarity to them: his grudging respect for Mugabe’s survival skills (“give the devil his due,” he wrote, “he is more clever and more ruthless than any other politician in Zimbabwe”), his disgust at the dictator’s ignorance of basic economics and appetite for violence, his low opinions of many members of the Movement for Democratic Change—the democratic opposition—and his conviction that, with U.S. help and encouragement of the forces arrayed against Mugabe, “the end is not far off”. There are also some observations that seem off the mark. Dell was far too trusting of South African leader Thabo Mbeki. “Mbeki appears committed to a successful mediation and is reportedly increasingly irritated by Mugabe’s efforts to manipulate him or blow him off altogether,” Dell wrote back in 2007. In fact, the South African president turned into Mugabe’s chief enabler, standing by him, propping him up with money and electricity, and turning his back on the opposition as the country spiraled into crisis. Dell seems to have underestimated the obscene lengths to which Mugabe, or those around him, would go to perpetuate his hold on power. The Fear, a forthcoming book by Peter Godwin—the Rhodesia-born correspondent who has become the most intrepid chronicler of Zimbabwe’s last decade—describes in chilling detail the beatings, tortures, and murders that ZANU-PF mobs inflicted on MDC supporters in the spring and summer of 2008, after Tsvangarai defeated Mugabe in the presidential election and was subsequently forced to compete in a run off. Hundreds of people were murdered, thousands were assaulted, and tens of thousands were driven from their homes in a campaign of terror so widespread and relentless that Tsvangarai was forced to surrender his challenge (while Mbeki blandly looked on, saying nothing). Dell may also have overlooked the determination of Mugabe’s generals—terrified at the prospect of being hauled to the Hague or the International Criminal Court of Justice—to subvert the transition to an MDC government. Four years later, Zimbabwe has, in fact, tasted all three of the scenarios that Dell envisioned in his memos. It had a surprisingly transparent election in March 2008—albeit one that was subsequently stolen by Mugabe. It had a bloodbath. And now it has the “power sharing deal” brokered by South Africa, with Mugabe in the driver’s seat. The eighty-five-year-old dictator is arguably as strong as ever—ZANU-PF controls the security forces, the judiciary, and most levers of power—and the diplomatic pressure on him has eased. Dell’s take on the Mugabe dictatorship proved to be uncannily accurate. The only thing he really failed to see was the utter inability of his own government to make a difference.